Starring: Harry Enfield, Haydn Gwynne, Hugh Skinner, Vicki Pepperdine, Paul Whitehouse, Louise Ford, Richard Goulding, Morgana Robinson, Katy Wix, Ellie White, Celeste Dring, Matthew Cottle, Tim Wallers. Christmas with the Windsors at Sandringham is even tenser than usual as Wills has usurped Prince Charles as next in line to the throne. When the BBC accidentally record over the Queen’s Christmas message, Charles has to do it… Live. Can Wills stop him from offending the nation as well as avoid a nuclear war? 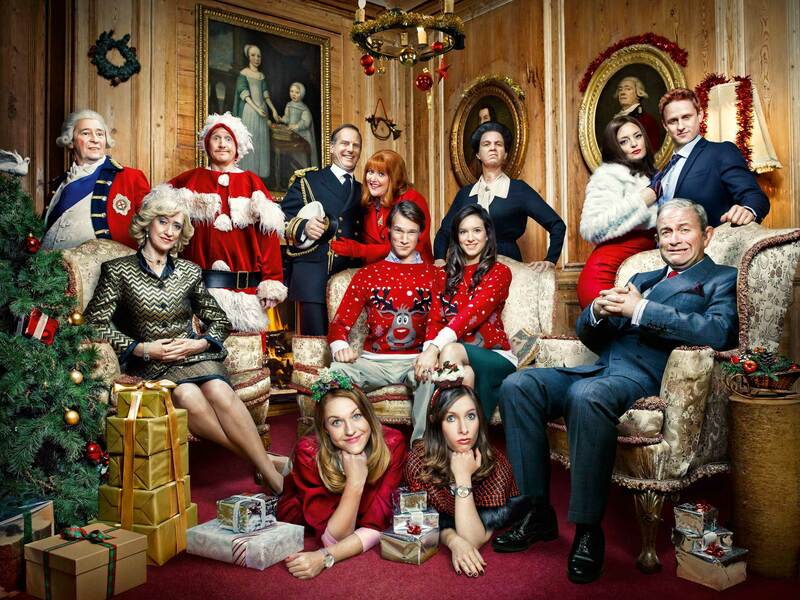 Meanwhile Kate is struggling to cook the Windsors’ traditional German Christmas lunch, and Beatrice & Eugenie release a single online in an attempt to get Prince Andrew home for Christmas.